Most of the fundamental elements of inbound marketing require time and patience to implement. Inbound marketing is not an overnight game. There is no switch to flip in order to start flooding your business with leads and customers. Instead, we are building a foundation of great content to attract, convert, close, and delight your prospects and customers. The process simply takes time and resources to execute well. Here are a few examples of common inbound marketing tactics and why it takes time to implement and develop. Search Engine Optimization (SEO): Effective SEO requires a well-designed website, dependable web analytics, a sitemap, great backlinking strategy, and other elements that require time and sustained effort in order to produce results. SEO can be one of the most effective marketing tactics, but it doesn't happen overnight. You have to continuously make changes and optimize. Social Media Marketing: Marketing your business through social media requires a long-term commitment from a social media specialist who will develop your networks and cater to their buying preferences. In most cases, social media, at least initially, should be viewed as a branding tool. Outside of paid advertising, social media is a way to get and stay in front of your prospects and deliver great content. It's a process of establishing a relationship that eventually could turn into closed business. If you're getting into social media marketing (outside of advertising) and expecting to start selling to your followers immediately, you're probably in for a rude awakening. You have to put in the time and effort in order to build those relationships. Email Marketing: Mass emails simply do not work anymore. They are too generic, people tune them out, and they really don't get opened. In order to get a good return on your email marketing campaigns, you need to really understand your contacts, their interests, and the content that they want to see. A/B testing and segmenting your contacts into well thought out lists is the key to great email marketing. "Inbound marketing is an ongoing methodology; it always requires more time from you because it becomes more and more complex with time. Because results take time, patience is required. Before signing any contracts that involve the implementation of inbound, you should be aware of the time involved." If you expect stellar results overnight, then inbound marketing is likely not the answer for you. While inbound marketing techniques can produce impressive results over time, the waiting period can be frustrating if you were expecting to generate fast results from your marketing initiatives. 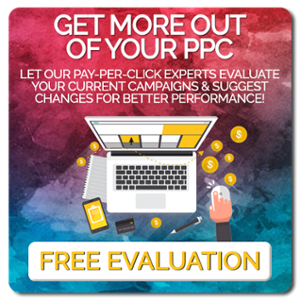 Many businesses like to add some pay-per-click advertising to their inbound marketing campaigns, at least initially, so that they can start producing immediate results while the inbound marketing starts to take hold. Top-notch marketing results are difficult to achieve without top talent. There are so many moving pieces with an inbound marketing campaign and relying on one jack-of-all-trades to develop your plan, create your content, deliver it across your different channels, and also measure and learn from the data and analytics collected, is just too much to ask. There are also sub pieces to each campaign that need to be taken into account - do you really want one person doing all of your copy writing, design, strategy, development, and reporting? How many people are really skilled enough to do all of that at a top notch level? Very few. Typically, a great copywriter is not a great designer and a great developer is not who you want writing blog posts (and so on), A great team should consist of skilled people that focus on what they're best at, not pushed into a position where they have to execute on a piece that they're average (at best) at. Blogging platform with optimization tools to ensure you're getting all the SEO benefit you can out of it. Great content management system (CMS) in order to host your website as well as landing pages and thank you pages. Website chat software - this really isn't an option anymore. People are demanding chat functionality from our websites now. If you don't have a chat option on your website, you're way behind! With an inbound marketing campaign, one of the best (and worst) things is the fact that there is a seemingly endless amount of data. Everything (when done right) is trackable, but the challenge is understanding which data is most important and what it actually means. It also means taking the time to really dive in and understand which data is an anomaly and which should be acted upon. 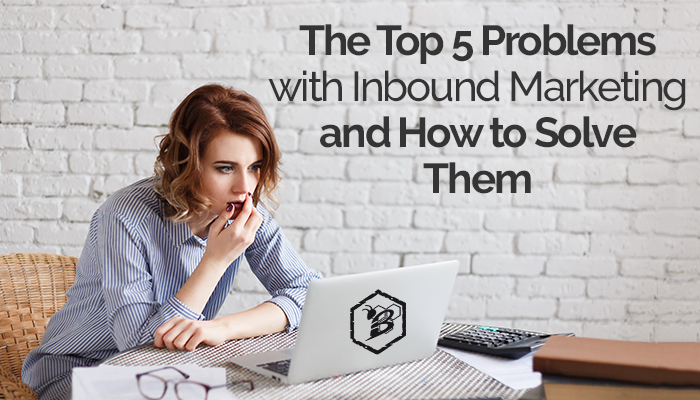 There is a lot of information that you'll take in with your inbound marketing campaigns and the difference between a very successful campaign and an unsuccessful one can very likely come down to your ability to understand and use the data that you're tracking. How can you overcome the challenges of inbound marketing? "By setting the right expectations with clients, we not only help them understand how this marketing method impacts their results but also how the significance of certain variables can impact their inbound strategy as well." Educating stakeholders and staff about inbound marketing is often the key to garnering long-term support for your initiatives. In particular, make sure that you tell your team that it can often take weeks or months to generate results. Provide them with examples of some of the strategies you have launched and invite them to join you as you monitor your company's increase in traffic, leads, and customers. Setting the right expectations from the start can set your campaign up for success. For many businesses, inbound marketing should be part of a larger, more comprehensive marketing strategy that also features outbound marketing tactics. By including paid advertising, 1:1 email marketing, and other outbound techniques, you can enjoy some "quick wins" as you wait for your inbound marketing efforts to pay off. 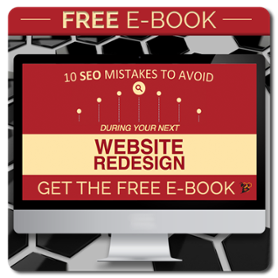 "You must design your website so that your customers have a consistent, compelling experience, no matter what device is used to access the site. Responsive design is the answer." First, if your website is not mobile responsive in 2018, you have much larger problems than launching an inbound marketing campaign. If this is the case for you, the very next thing you should do is to make a call to either your website development team or an agency to get a new website built. A stellar website is the cornerstone of an effective inbound marketing campaign. Trying to launch an effective inbound campaign with an outdated website is about as effective as trying to apply a fresh coat of paint to a crumbling building with holes in the walls. You can prime your organization for inbound marketing success by giving your website a facelift to ensure that it is responsive, easy to navigate, and content-rich. What is the best way to achieve inbound marketing success? Clearly, there are many benefits to developing an inbound marketing campaign. However, achieving results takes time and many businesses do not have the time or resources needed to develop an effective long-term plan. The best way to achieving success with your inbound marketing campaign is to either build out a great team and a great strategy or to hire an agency for all of that. A top-notch marketing agency will have the resources and expertise to develop and launch a strategic inbound marketing plan for your organization. They can also optimize your website and help you maximize your inbound marketing campaign's ROI. We invite you to contact us at HIVE Digital Strategy to learn how we can help you achieve inbound marketing success. Our team of dedicated inbound marketing specialists has the tools and expertise to help you drive more traffic to your website and shorten your sales cycle. We look forward to becoming your trusted resource for all of your marketing needs!